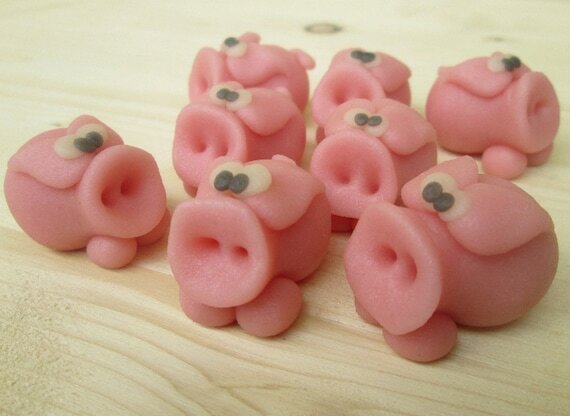 The Marzipan Pig Tradition is quite simple…. 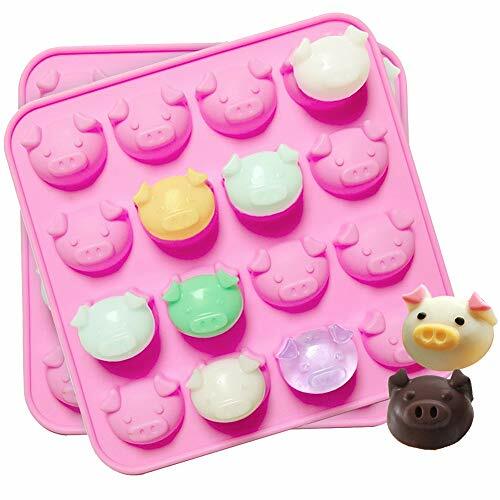 If you give Marzipan Pigs, good luck and delicious flavors will be spread to friends and family this Christmas! 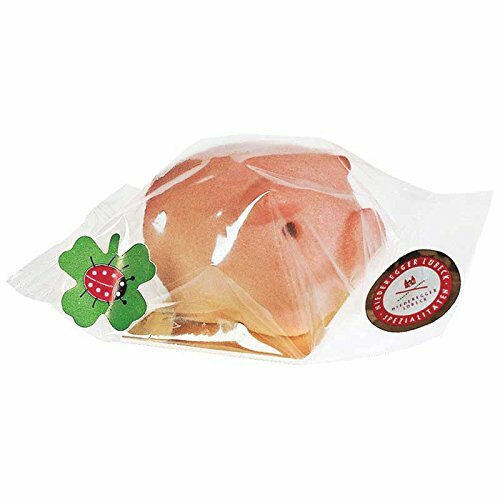 Many Germans like to include a Marzipan Glückschwein with their Christmas gifts! Or as a special gift for the New Year. These sweet treats will make anyone feel lucky…. If only because they have a delicious candy to eat. 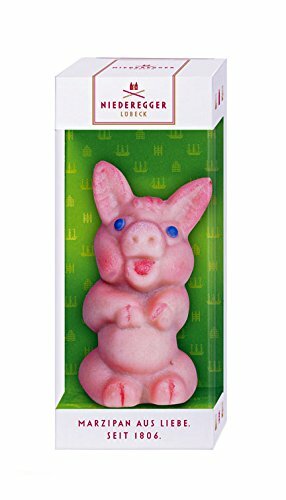 (These are a huge favorite for my sister who LOVES Marzipan).These adorable piggies make a nice addition to your Holiday celebrations. And are a cute thing to put into a Bunte Teller. 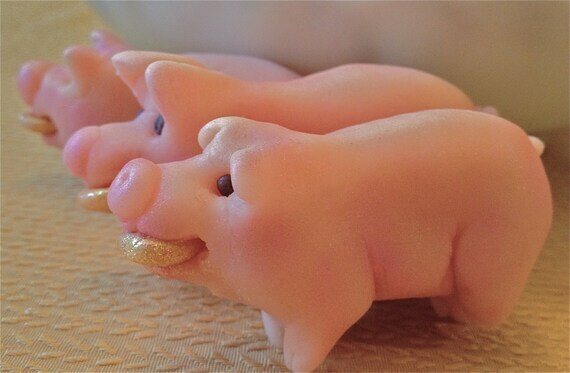 Marzipan Pig Tradition… They bring Good Luck? 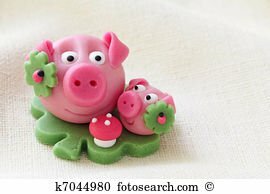 Where to Buy Marzipan Pigs? Marzipan is a confection made from ground Almonds and sugar. Sometimes a bit of honey or almond oil is added for more flavor. This mass is kneaded to smooth dough, and then it can be formed into any shape imaginable; fruits, animals or simple loaves. It can also be rolled smooth to cover cakes or tortes. But during the holidays season, everyone wants a Glückschwein! 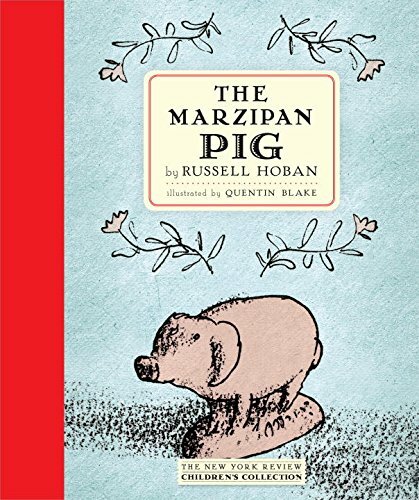 How did the German Marzipan Pig become a Lucky Pig? In the Middle Ages, farmers survived the winter depending on what they could produce. If you were really lucky, they had a pig… which meant MEAT all winter long. 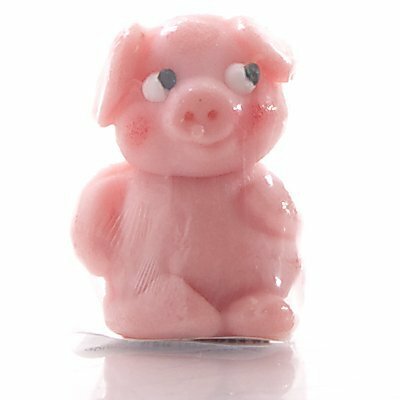 “Ich habe Schwein gehabt” (“I had pig”) became a common expression for being lucky…you were lucky to eat, and later, you were just lucky. 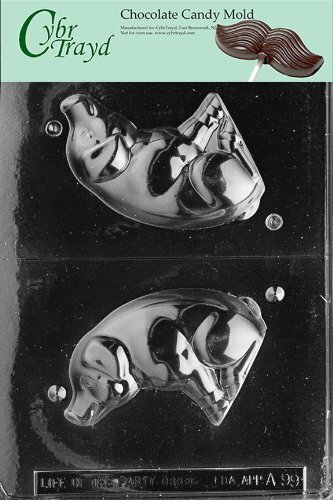 In the more recent years, the pig became a good luck symbol, like a four-leaf-clover. 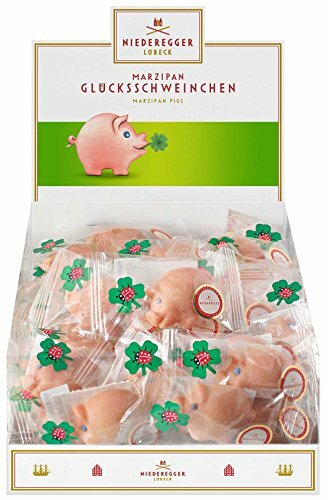 In fact, some Glückschweinchen come with a little clover on them. 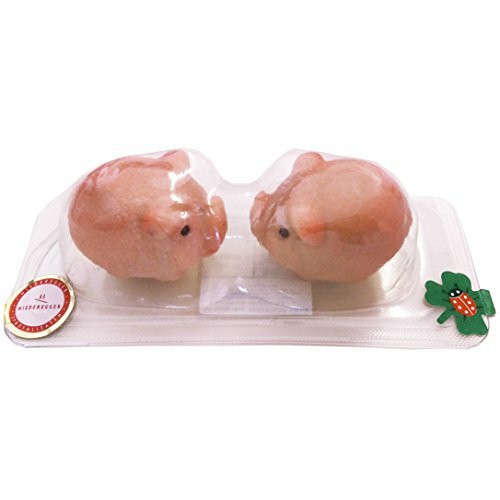 A German Marzipan Pig (Glückschwein) as a gift helps to insure good luck for the New Year, so it is often given as a gift between Christmas and New Year. 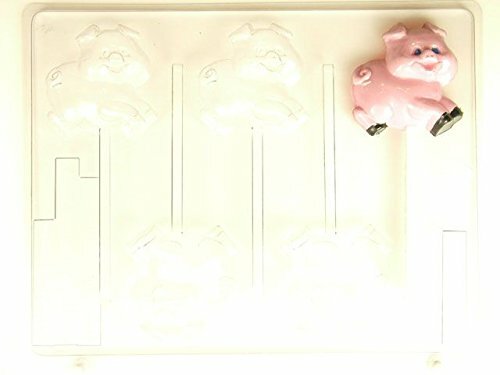 Some children are lucky to find one of these delicious piggies in their shoes on St Nicholas Day! 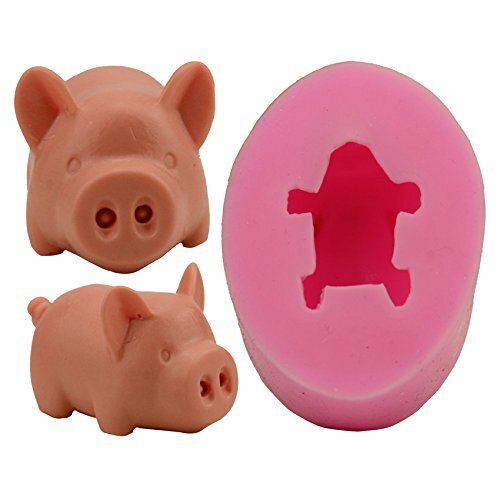 These Marzipan Pig Pops are just too cute! And they are all marked with extra good luck symbols! What a fun stocking stuffer or party favor! 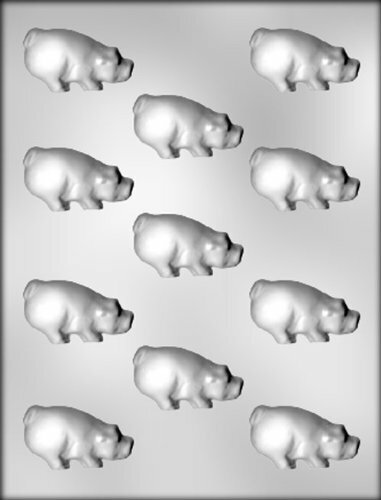 Gluckschwein! 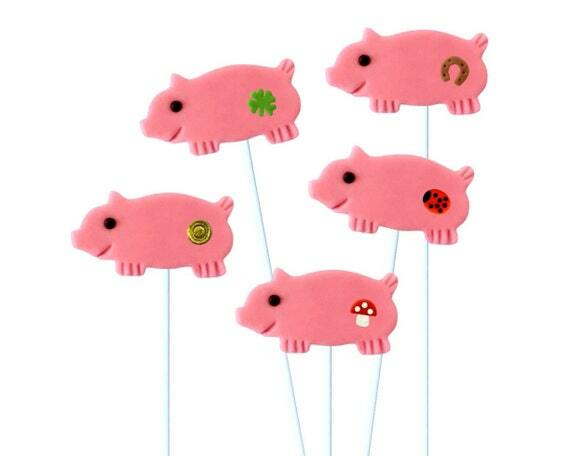 Good Luck Marzipan Pig Marzipop Lollipops! Grind the almonds in a food processor until they resemble a fine powder (Don’t overgrind, it will turn into almond butter!). You can also buy Ground Almonds. In a bowl, beat the egg whites until just frothy. Add the Almond extract and rosewater (if desired). Sift in 3 cups of powdered sugar, 1 cup at a time, kneading the mass in the bowl after each addition. Then add just enough of the last cup of powdered sugar to form a smooth, pliable dough that isn’t too sticky. Divide the dough into portions and wrap tightly in plastic wrap. 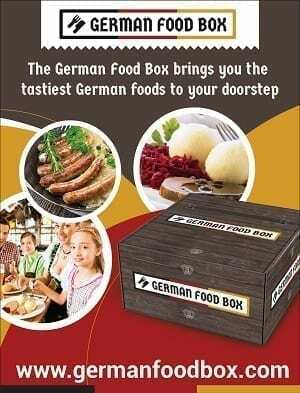 Keep refrigerated in an airtight container up to 8 weeks. 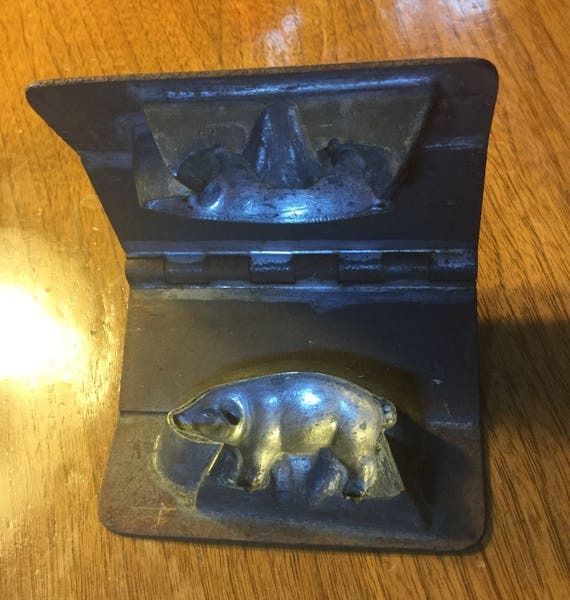 You can shape this marzipan into any shape you want. Use a form or freehand! 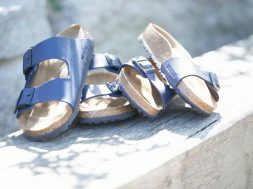 Use them or display them! previous The German St Nicholas Tradition- What is St Nicholas Day? next Where to Buy A Feuerzangenbowle Set - Feuerzangenbowle Recipe Too!